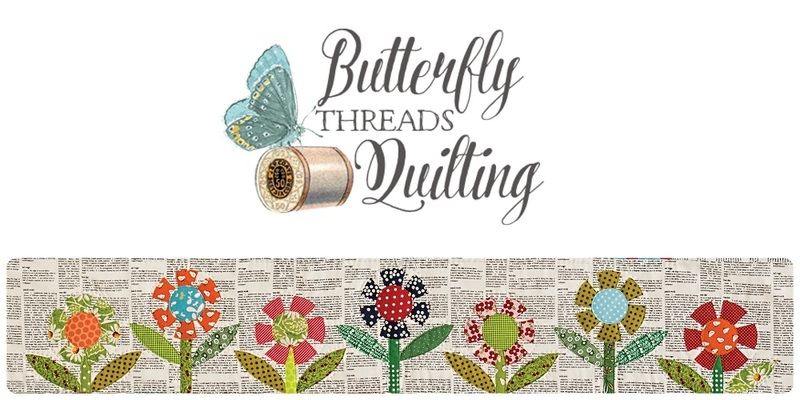 Butterfly Threads: So how did I do? 1. 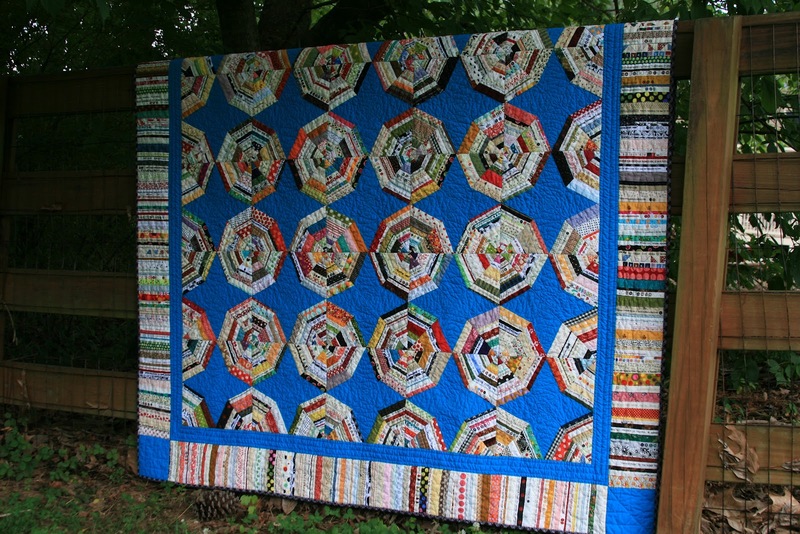 Finally finish quilting my selvage quilt now that my machine in back from the shop. 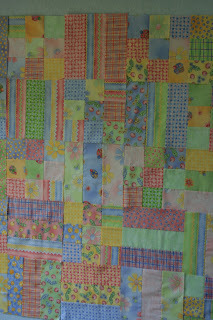 (working but not totally fixed...still waiting on a part) I did finish the quilt and actually quilted another quilt that was basted and waiting. Woohoo! 2. Make a tote bag for summer, using the fun shrink-when-you-iron-it-stuff I bought Friday. I did not get this finished. I spent half the week looking for the fabric I bought (good grief) and finally found it. I am now debating exactly how I want to proceed with this. I gave it lots of thought, but that's as far as I got. 3. 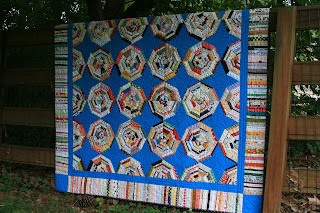 Finish another block in my Comfort and Joy quilt a long. I actually finished not one but two blocks for this fun quilt a long. I can't show them yet, but I feel so happy to see this project coming along so nicely. 4. Finish piecing the charity quilt top that is currently just a stack of fabric. I did get the blocks put together and arranged on the design wall. Now I just need to sew the rows together and quilt it! 5. Write 3 new patterns this week (the math is done, just need to photograph and write the files.) I knew this was the least likely to get done, just because there are so many steps involved. I did make progress, and have done about half of two of the patterns. So that is a good start! I will be able to finish these this week. And I do have some pretty good excuses for not finishing all of the tasks...I am taking time to really enjoy my kids this summer. I miss them so much now that they are back in school (I homeschooled them for 4 years and really loved it!) So this week we went boating, watched a movie, had some sleepovers and some fun outings. Not to mention the routine stuff that needs to happen on a regular basis. So while I only completed two of the five, I did make progress on all of them, and doubled my goal on two of them. My goals for this week...finish what I started and surely I'll be at 100% by next Monday! 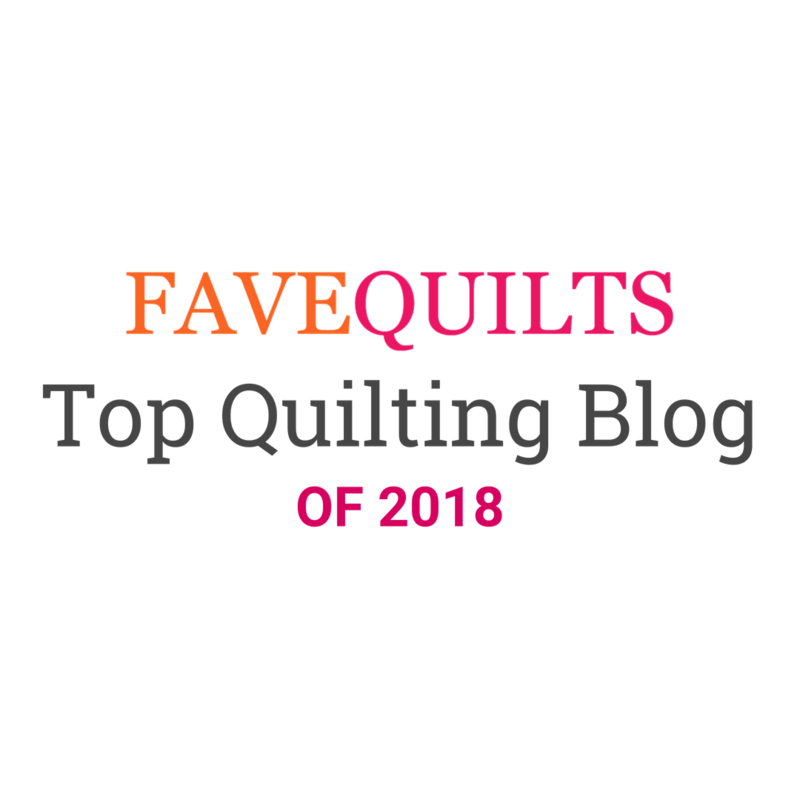 Love the pic of your selvage quilt in the header! Beautiful! Thank you! 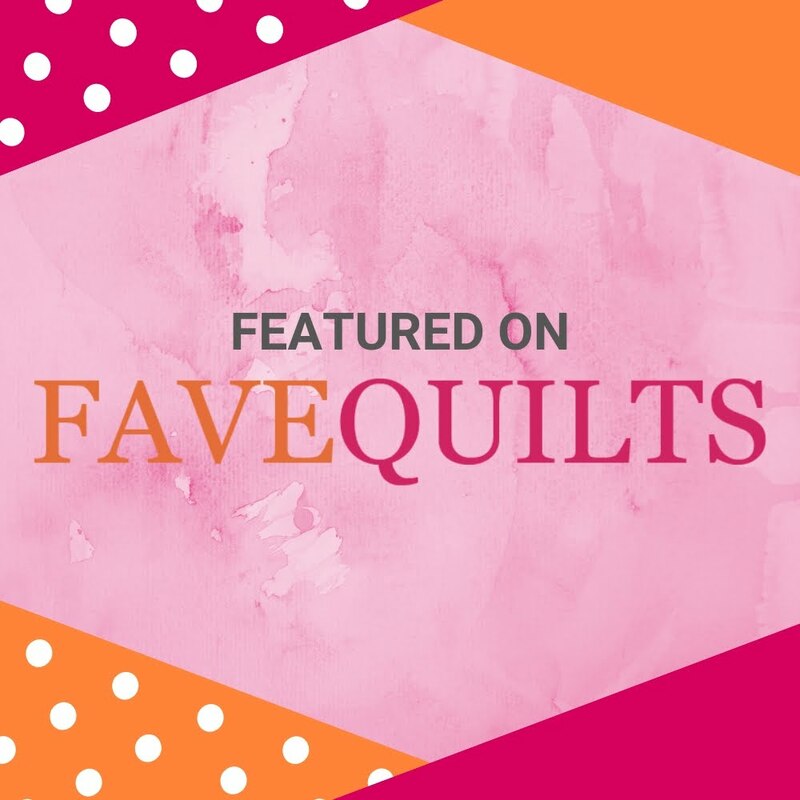 I don't know if I'm more proud of the quilt, or the fact that I learned how to change my own blog header and edit my photos with words? I am pretty sure making the quilt was easier...haha.